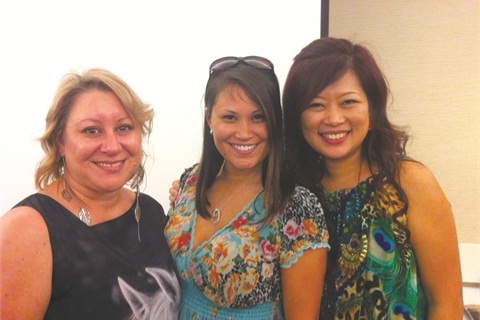 Artistic Nail Design recently invited trainees from around the globe to expand their nail horizons with vice president/creative director Alisha Rimando-Botero. 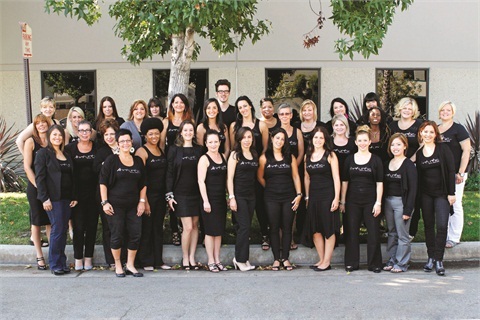 Artistic Nail Design recently invited trainees from around the globe to expand their nail horizons with vice president/creative director Alisha Rimando-Botero. The 2012 International Educator Training hosted trainees from Canada, Brazil, Australia, and The Netherlands, along with the United States. There were four days of demonstrations, self-evaluations, judging, and testing, kicking off with product knowledge, a nail anatomy review, and an Artistic Nail Design Colour Gloss demo. The following days included French gel-polish and gel-polish art demonstrations, Artistic SMARTgel application, pink-and-white sculpture, and gel-polish testing. The trainees also got a sneak peek at new products that are launching in 2013, along with a chance to test the items and give their professional feedback. The training concluded with a special treat. Viv Simmonds and Catherine Wong from VivCat Design hosted an exclusive nail art class for all the Artistic Training attendees. The trainees were so excited to have them both there so they could learn from some of the best in the industry. 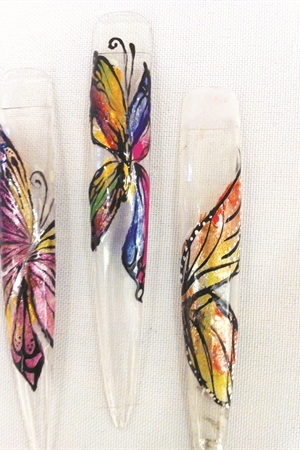 Everyone learned how to create horses, butterflies, tigers, and flowers from acrylic and colored gel.